and whoever lives and believes in Me, shall never die. Nagib Eugene Gebran was born on November 30, 1956 in Cairo, Egypt. His parents, Emile and Yvette Gebran, along with his siblings eventually moved to Beirut, Lebanon, their place of origin for generations, which provided many fond childhood memories for the family, before coming to the United States in 1970. At a young age, Nagib’s brilliant mind manifested itself academically and in his abilities to engage successfully in many diverse activities and challenging interests. During his college years, he enjoyed Table Tennis (Ping Pong) and won many trophies. His dominant passion was overwhelmingly Chess. Nagib spent many hours winning and organizing chess tournaments, readily attaining the National title and honor of Chess Master. He earned a Bachelor’s Degree from St. John’s University, while simultaneously majoring in Physics and Philosophy, as well as a Master of Science Degree in Education, specializing in Curriculum Development from The City University of New York. Nagib’s creativity as an Inventor was demonstrated in his attainment of a U.S. Patent for his educational corporation: The Chess Connection to Integrated Learning/The Smart Set, which provided magnetized chess boards and pieces to serve as mathematical manipulatives. It was received enthusiastically by all participating students of algebraic equations. Nagib’s ultimate goal was to embellish and enrich problem-solving concepts in the math and science curriculums, while enjoying the intellectual game of Chess. As a tenured teacher, Nagib held positions of leadership outside of the classroom: mentoring new teachers and administratively serving as a Site Coordinator for innovative transitional programs in the New York City school system. Like all good teachers, Nagib encouraged his students to strive for excellence in all aspects of their lives. He kept the lines of communication open through social media, which led to rewarding, lifelong relationships, as evidenced on his Facebook pages. Parents and students were embraced as extended family members and truly benefited from his nurturing professionalism. Shining examples were made prominent in The Wall Street Journal, Wednesday, July 10, 1991 (A10); a Channel 7 Eyewitness News Video aired in 2000 featuring Nagib as the coach of child chess prodigy, Parker Zhao (Youngest Chess Master in the U.S.), who is presently a student researcher at MIT and a few points away from becoming an International Chess Master. His career as an Educator with the New York City Department of Education and his work with private students spanned well over 25 years. Possessing several teaching licenses, Nagib taught on all levels from kindergarten to high school. At the time of his retirement, he was a member in good standing with the UFT (United Federation of Teachers) and its affiliates; and a member of the United States Chess Federation (USCF) and the Marshall Chess Club located in Greenwich Village. Nagib delved deeply into spirituality, cosmology and metaphysics. He was also well-traveled, multi-lingual and quietly embraced the simple pleasures of life – enjoying pets, fine dining, and an eclectic range of music and visual entertainment. Everyone who knew Nagib on a more personal basis soon identified his strong characteristics of kindness, generosity and humility and a genuine respect for all cultures and ethnicities. He was always there for his friends and family in time of need and charmingly maintained a great sense of humor in the face of life’s adversities. His strength and courage in the face of numerous trials without complaint are an inspiration to us all. 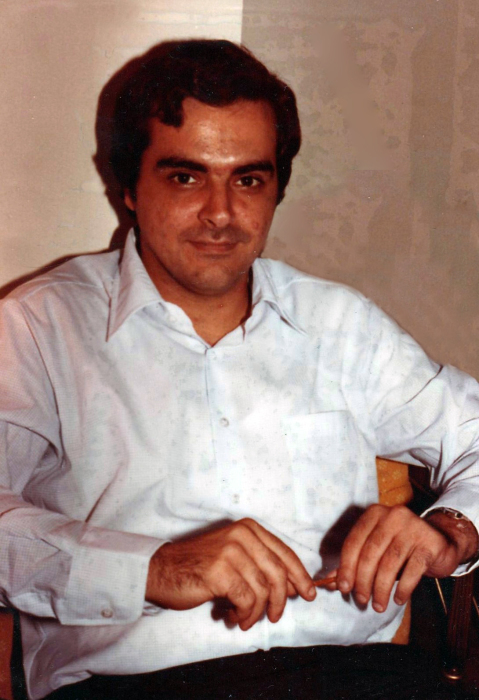 He is survived by two devoted sisters – Magda H. Gebran of Greenwich Village, NY and Nabila E. Gebran of Hartsdale, NY; his sister, Maha Gebran Forbes, (predeceased) mother of his nephew, David A. Forbes of Winter Park, FL and a host of loving, caring relatives and friends here and abroad, celebrating and cherishing his memory.